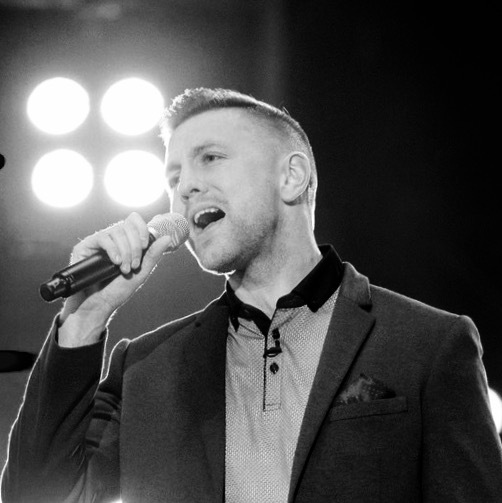 David Barnes first captured the nation’s hearts when he took part in hit TV show ‘The Voice’. Viewers learned that David had a successful career in the Army as a highly qualified musician and with his obvious talent and great looks he became a firm favourite and secured a place on Team Ricky’s team (Ricky Wilson). This journey took him to the final knock out stages. The Voice set David on a new career path and after 22 years serving in the Army he decided to leave and focus on the new-found opportunities that were in front of him. Having joined the Army in 1995 straight from school at just 16years old, travelling all over the world to over 38 countries, a deployment in Iraq and performing and teaching music throughout; the British Army set him up with the best training ground ever and the perfect platform to continue his career and quest to be a full-time singer, performer and entertainer. Since the show David has sang live at Wembley Stadium, as well as Twickenham Stadium for the Army & Navy rugby match at which 82,000 people attended including the general public and military. This was broadcast live on Sky Sports. He has recorded with Gary Chiltern from ‘The Soldiers’ as well as Status Quo, sang with Gene Simmonds at Wembley and performed on the same stage as Katherine Jenkins and Jools Holland! David has recently signed his own recording contract with Sonic Boom Records. A first album was recorded as a soft release as a promo tool for David to sell at gigs. ‘The Re-created album’ consisted of cover songs from ‘Signed, Sealed, Delivered to the likes of ‘How Sweet It Is’ and it became an instant hit with his growing fan base, with fans purchasing it from as far as Singapore, the US and Hong Kong! David is currently staring in ‘California Dreamers’, a Jukebox Musical taking you on a journey through the 1960's - 1970's. A time where music changed the airwaves forever. David is also back in the recording studio, working on the release of his debut solo album, which will be out later this year. Watch this space!